We had 2 parents, 2 grandparents and 2 kids and this place was perfect. Accomodation was great, clean, tidy and very comfortable. A short walk downhill to Salamanca Sq - an easy enough walk home too if you are not too old/young/tired/lazy! Robin and Kathryn were very responsive, especially when we made a couple of changes to our booking and again when we left something behind. 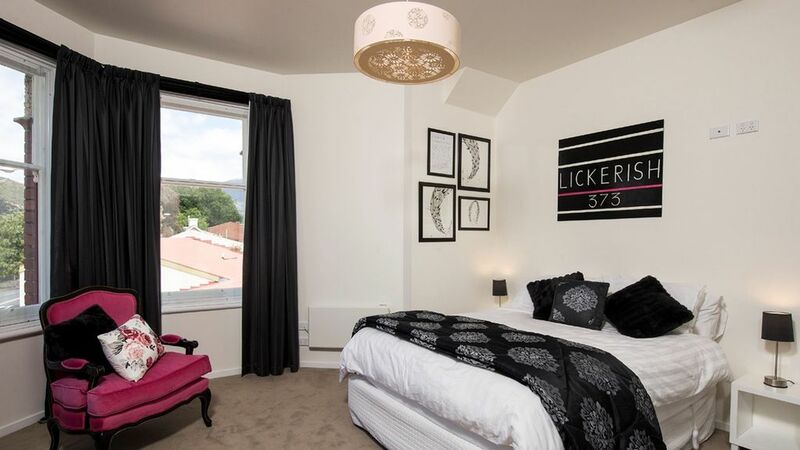 Fantastic apartment in a lovely part of Hobart. Spotlessly clean, well equipped and extremely comfortable. Outside deck area was a bonus and perfect spot for an early evening glass of wine. Wouldn’t hesitate to return. We thoroughly enjoyed our stay at Red Door Penthouse. It's lovely and spacious, beautifully decorated and in a fantastic spot to walk to Salamanca Place and the city or to Sandy Bay shops. My sister and I took our parents to Hobart for 5 days and this was the perfect accommodation for the four of us, we didn't feel like we were on top of each other and it was warm and supremely comfortable (and mum and dad felt like they were living in luxury!). Thank you also for the various directions and instructions - finding it and getting in was all very easy. Will be recommending this apartment to friends and family if they are heading to Hobart in future.